Bette Midler is no stranger to feuds -- just ask Ariana Grande. This time, the actress and singer is taking aim at Leonardo DiCaprio and the Academy. 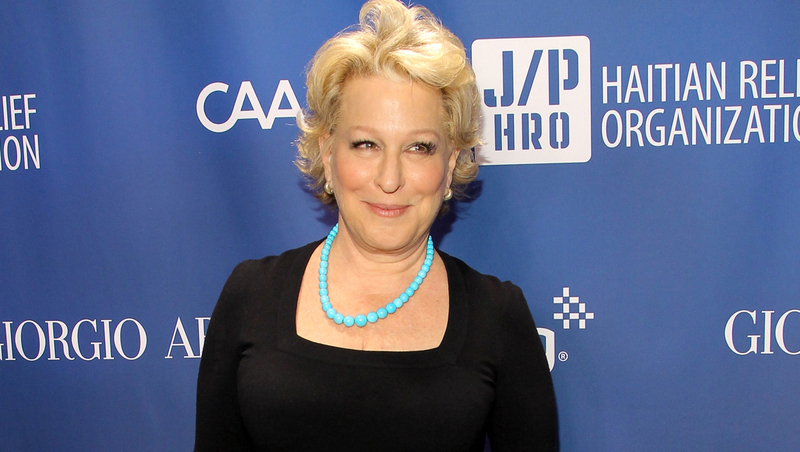 Midler slammed the Oscars show on Twitter and wrote, "The Oscars are today! You know, the awards show where Leonardo DiCaprio is 'overdue' but black people can 'wait till next year.'" The actress was clearly referring to the fact that no black actors have been nominated for an Oscar this year. Midler has never been shy on Twitter. Just the other day, she made fun of Kris Jenner, saying, "Kris Jenner booed at a concert while intro'ing Culture Club; that's the last time anyone says 'Kris Jenner' & 'Culture' in the same sentence," and she frequently insults Republican politicians on the social media platform. We have to hand it to the 70-year-old comedian: She gets social media. We're only surprised she forgot to add the hashtag "#OscarsSoWhite."